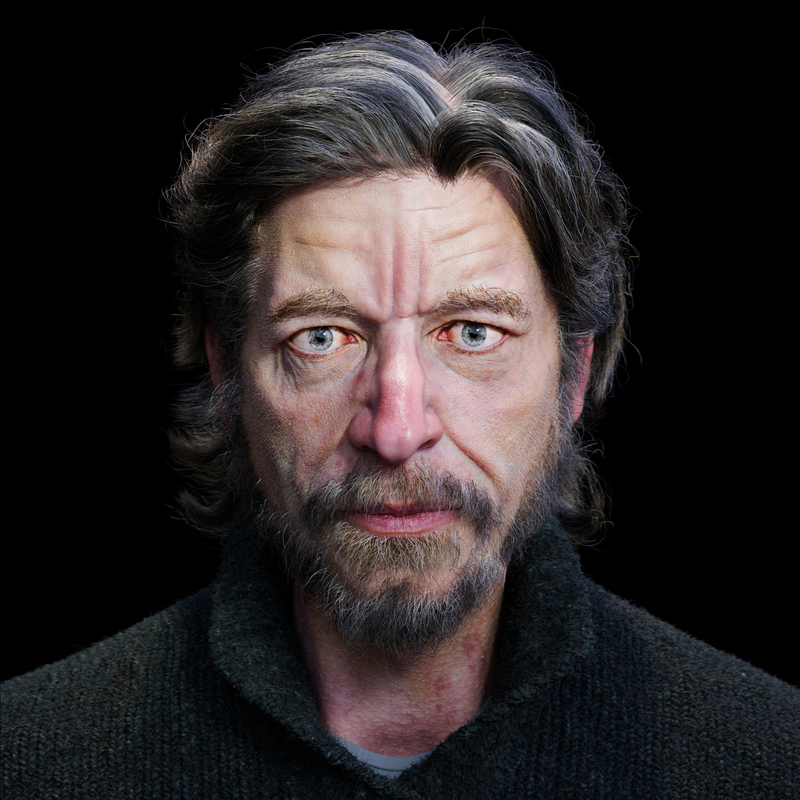 A portrait of Karl Ove Knausgaard. Greatly enjoyed his books so far, the clear look into the life of another human being has been wonderful, an inspiring guy to say the least. I realise this is a little caricatured and so any constructive feedback is very welcome. Modeled in Zbrush , topo and UV's in maya, textures painted in Mari with texture xyz maps, hair is xgen interactive groom. Scene was rendered in Arnold and graded in Photoshop.